As I mentioned in last week’s bandana repurpose post, I am working on a mini-series of ideas to re-purpose dog bandanas from the groomer. 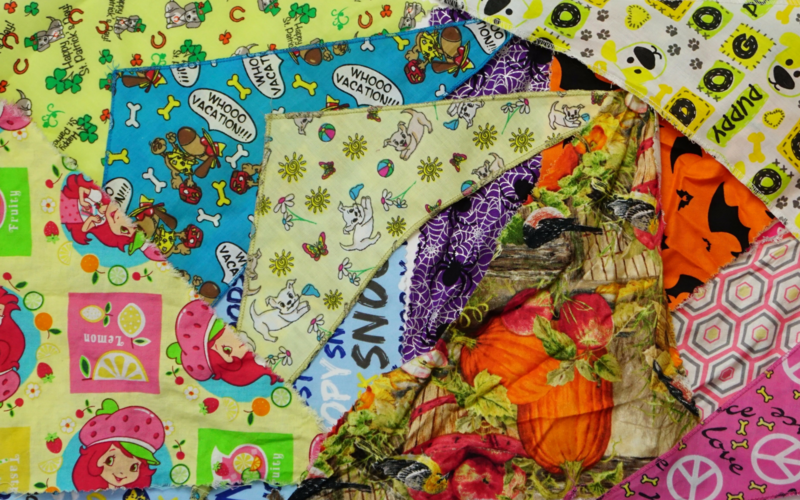 If you have a creative use for these bandanas, feel free to let me know in the comments! My sister’s dog had extreme anxiety about going to the vet after a couple of bad experiences. When she needed a nail trim badly, my sister had to find a different place to take her. After calling and explaining to the new vet about prior vet experiences, they had an amazing suggestion. 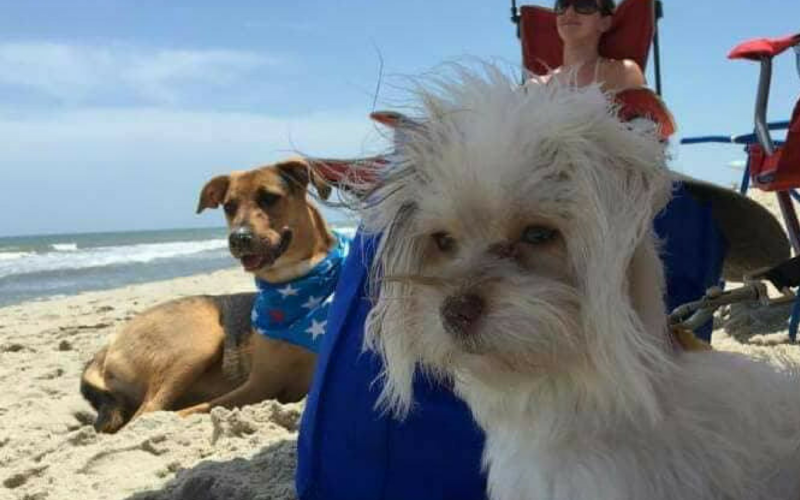 The vet sprayed a calming spray on a bandana and let my sister’s dog wear it while she visited the new vet. Then, when she came back for the “real” appointment, she wore the bandana on the way over. It honestly made a huge difference and she did really well! I currently use Sentry’s “Stop That” correction spray as a calming spray because it has pheromones in it that help calm my dog. Lavender and chamomile are also natural ingredients used in this spray that help with calming. I purchased mine on Amazon here but you may be able to find it at a pet store. While this is not 100% foolproof, it makes a significant enough difference that I do not leave home without it. I use this spray in combination with training to get better results. *Don’t have calming spray? See the tip below directions for an alternative. 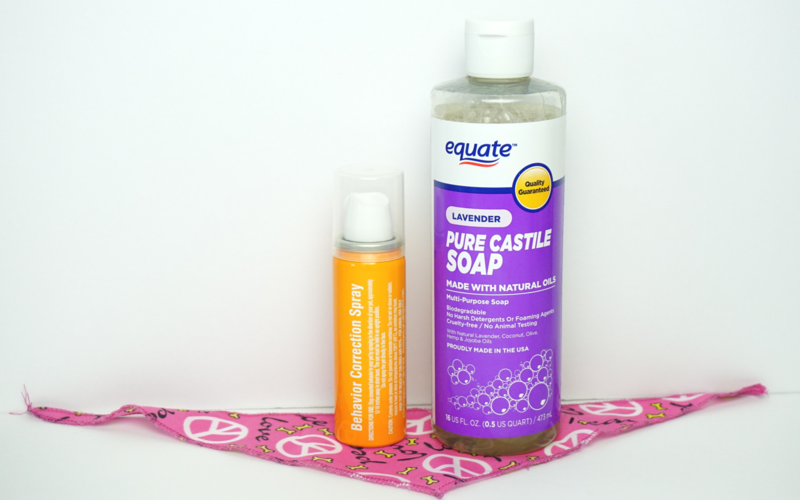 If you do not have calming spray or lavender essential oil, you can apply some of Dr. Bronner’s Lavender Castile Soap to the outside of the scarf or Equate Castile Soap *out of stock*. According to Dr. Bronner’s media site, the lavender collection indeed has calming effects. How easy is that?! Easy crafts are the best!